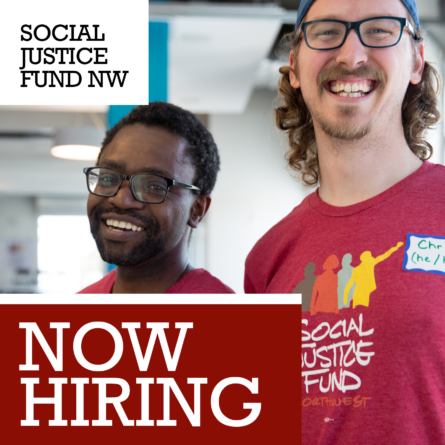 In 2019 Social Justice Fund will lead over 100 people through a process of learning, community building, fundraising, and grantmaking for social change through our 2019 Giving Projects . We’re excited to offer the following Giving Projects in Seattle and Portland to support and guide the program of grants below. Our Giving Project model continues to be incredibly successful in developing leadership and moving money to social justice organizing. Each Giving Project guides members through a deep process of learning about race, class, fundraising, and social change. We hope you will consider joining a Giving Project in 2019! Getting involved is easy – just sign up online and an SJF staff person will set up a time to meet with you! 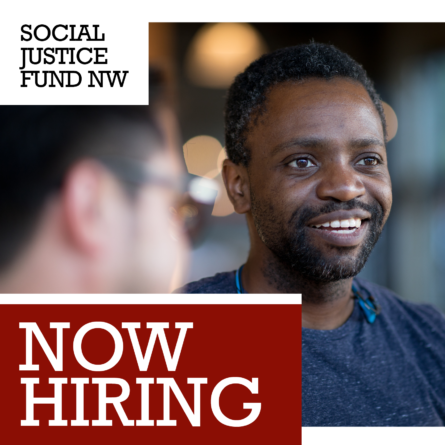 Social Justice Fund NW’s grantmaking region is made up primarily of small towns, reservations, and rural communities, but much of the resources go to the major urban centers of Seattle and Portland. This Giving Project will focus on supporting community organizing that is building power in the rest of our region, outside of Seattle and Portland. This Giving Project will support any work being done in ANY cities outside of Seattle and Portland, with priority given to organizations in rural, small town, and reservation communities. 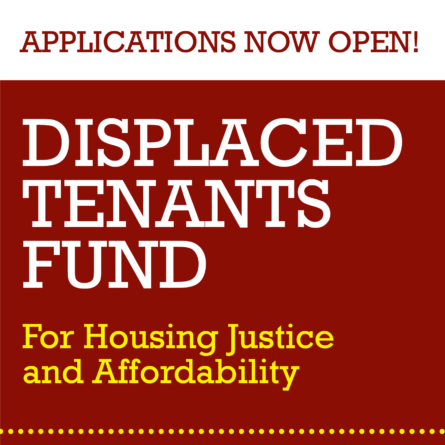 This Giving Project will support organizing work addressing the systemic criminalization and disproportionate targeting of people of color and poor people. Criminal Justice issues include, but are not limited to, ending racial profiling and police brutality, addressing racial inequities in drug laws, ending the school-to-prison pipeline, detention, and deportation of immigrant communities, transformative justice, and alternatives to incarceration.